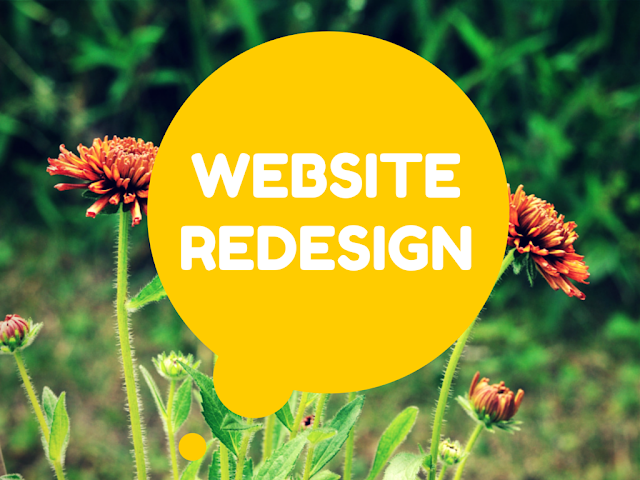 Looking for redesigning your website? We have listed down some tips to easily redesign websites. Web design trend changes every day. It has taken a completely different shape in the past few years. Redesigning a website is one of the biggest challenges on the internet, when the concern is successful marketing. An amazing website is very important for your product or brand. A website represents your brand and it is very important that you create a user-friendly and an amazing website for your users. It is a common problem that after creating a great website, the success rate is still low. It is difficult to find the exact problem in the website. The developers keep on fixing the areas, where they think that the problem may exist. But still they are not able to find the exact cause for the unsuccessful website. It is important to know the reasons for an unsuccessful website so that they can be overridden. Let’s discuss some of the reasons that can prove to be unhealthy for your website. Below are some reasons for an unsuccessful website that should encourage you to redesign your website. In order to overcome the above problems in an unsuccessful website, it is better to redesign a website to make it more comfortable for the users. Below are the reasons for redesigning a website. Wondering how frequently you need to redesign your website? There is not thumb rule for redesigning website, however you can see for some signs that may be impacting your current visitors. If you website is not high user interaction than redesign may be in few years, however if your website requires heavy user interaction than constant improvement may be required to improve website usability and user experience. It is very important for you to make the users connect with your brand. The design of the website should be simple enough to make the users comfortable with the website. In the past, there were two versions of any website, desktop and mobile. But nowadays, with the emerging trends, the developers are now creating responsive designs of the website. This way there is no need to create two different versions of the website. This is a great coding experience for the developers. It is a great language to design the responsive designs of the websites. New and interactive features have been introduced with the invention of HTML5. Use of this in your website can add wonders to the website success. It is always difficult for the developer to create a proper design plan for the website. Less content cannot yield good results on search engines. It is a great advancement in the screen technology. People are looking for great screen resolutions. If you have decided to redesign your website in order to include the above mentioned areas, it is better to answer some questions before starting with the redesign of the website. What The New Site Will Achieve? It is best to decide about what the new site will going to achieve. It is important to clear yourself about the type of the website, so that the redesigning direction should be clarified. What Is The Problem With The Current Website? It is necessary that you analyze the current website properly so that you can decide on the areas that you want to keep in the current website and the areas that need to be improved in the new website. The magnitude of the website is important to understand. The first thing that will come into the mind is to redesign the website in-house, by reusing the resources. It is a good approach to save money. But this approach is not always good. Sometimes you need other skilled or specialized resources to work on your website. Let’s have a look at some of the website trends in the year 2015. It is important to understand that how you can redesign your website to make it successful. Let’s discuss the above mentioned trends in detail. The fonts on the website are very important. They should not look messy and the size of all the font styles used in the website should fit the page, whether the website is opened on a desktop screen or on a mobile screen. The fonts on the website tell the story of the brand in a great way. Videos on a website play an important role in making the website successful. Videos always tend to grab the attention of the users immediately. The video should be relevant to the website. You can add introductory videos to the website that can help the user better understand the website. A great design will always attract more number of customers. The design of the website should be creative and conceptual. It is better to hire skilled web designers for your website as the design is the very first thing that the user will see on the first visit. There should always be good background images on the website. The images should not overrule the fonts above it. If the background images look bad, the user will surely leave your website and will never come back again. You can check here the secret tips to choose the best Images for your website. The websites should always have responsive design. Creating the websites with a responsive design can make the website to open amazingly on both the desktop and the mobile screen. Read benefits of responsive website. A great scrolling adds a lot to a great user experience. The scroll should be used instead of a click can add wonders to a website. It makes the user to utilize the full screen size for the page. Scrolling does not allow the user to go to another page, it makes the user to stay on the same page and load all the content. Personalization is very important for a website. What if the users would not find anything relevant? So it is important to create a website based on the user’s interest and experiences. Data visualization allows the user to submit the information in a great way. Data visualization is done in the form of infographics. The data visualization can be improved by adding custom scrolls to the page and by providing more animations on the page. The website is created keeping in mind the interest of the user using the website. It is important to keep the website stay focused on the user itself. It is also important to make the user feel comfortable with the website by making easy navigation throughout the website. Optimization of the website is important because a user does not like to spend time on slow page loads. They need fast and quick loading. Website optimization allows for faster page downloads and it also helps to increase the traffic on the website as well. It is very difficult to get good rankings on the search engines. The rankings can be improved by optimizing the website. It is important to make the website amazing for the user in order to get success for your brand or product. Redesigning of the website can add wonders to the website if every single area is optimized and redesigned properly. Keval Padia is a Founder & CEO of Nimblechapps, a fast-growing website development company. The current innovation and updates of the field lures him to express his views and thoughts on certain topics.